Click on one of the thumbnails below to access the 6 photos of this aircraft. 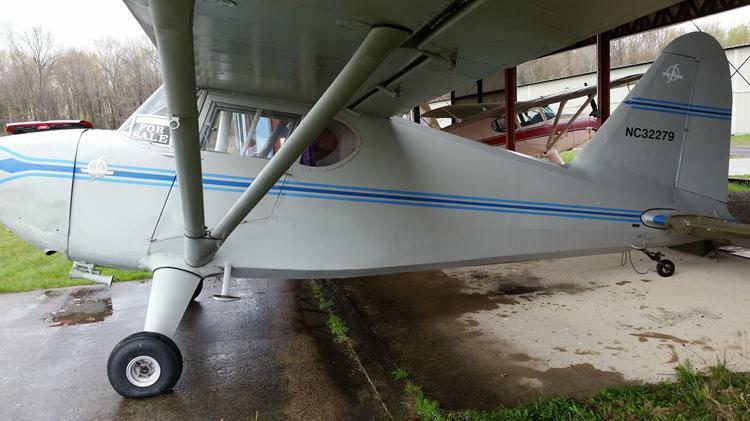 Our Stinson when it was acquired from a US owner in 2016. When acquired, it had only 767 hours of flying on the airframe and had only 75 hours since an extensive rebuild in 2009. Noted buyers of Stinsons included Hollywood movie star Jimmy Stewart, Howard Hughes and funnyman Edgar Bergen. 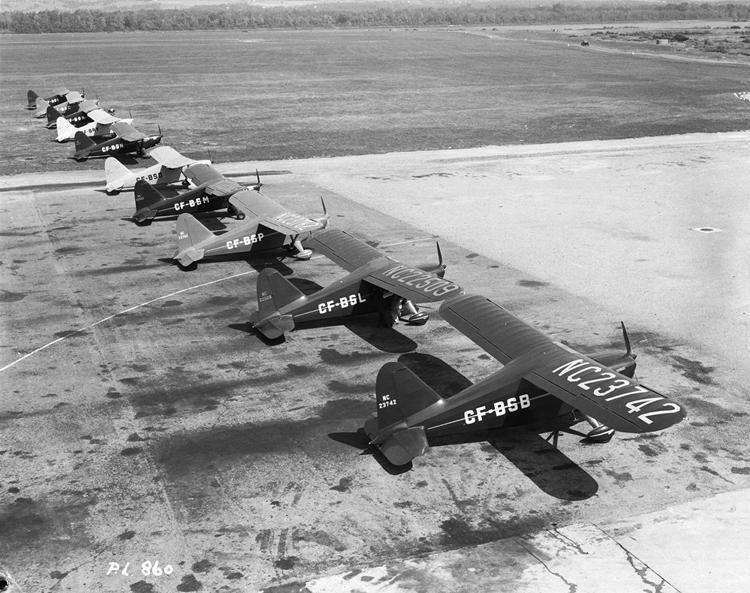 Line up of Stinsons shortly after being imported by the Canadian Government in Montreal on August 19, 1940. Note the combination of Canadian and American registration markings. 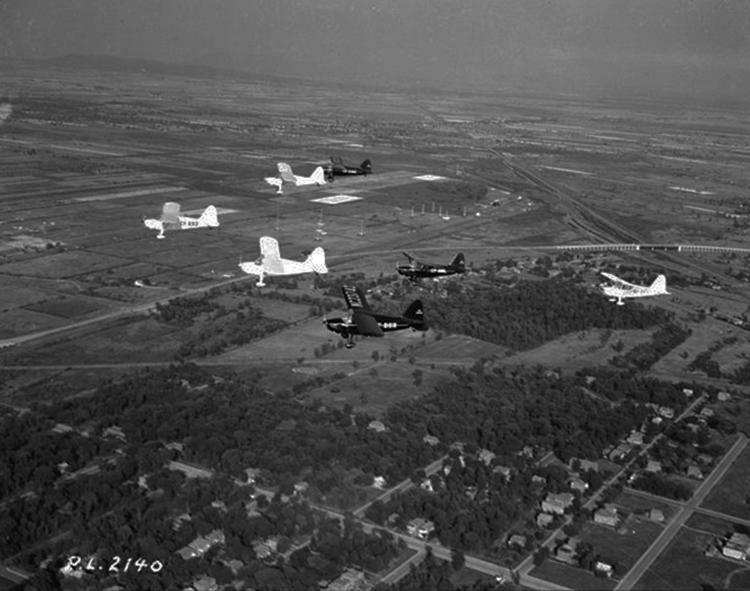 Stinsons on delivery overfly Montreal on August 19, 1940. 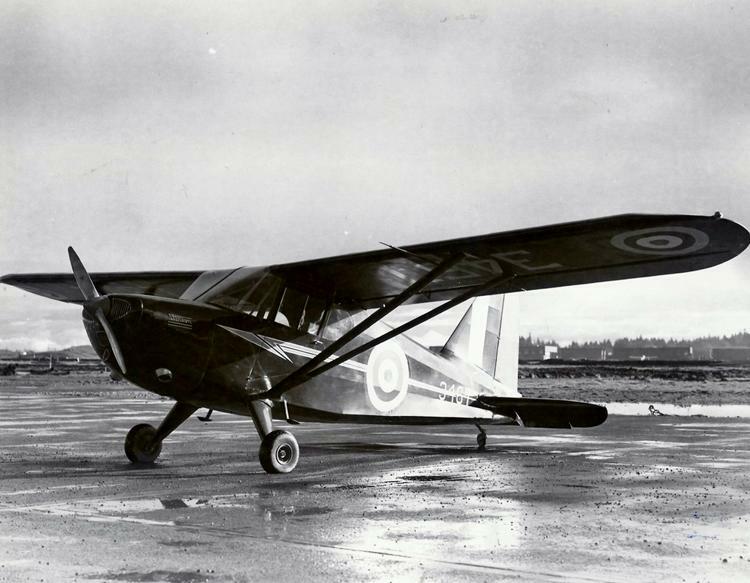 RCAF Stinson #3467 at Patricia Bay, British Columbia on December 4, 1941. In 1939, the Stinson 105 was introduced to the public at the New York World's Fair. The 105 referred to the theoretical cruising speed. It proved to be a very popular aircraft and noted buyers included Hollywood movie star Jimmy Stewart, Howard Hughes and funny man Edgar Bergen. The French Government placed a substantial order but only a few were ever to see service. 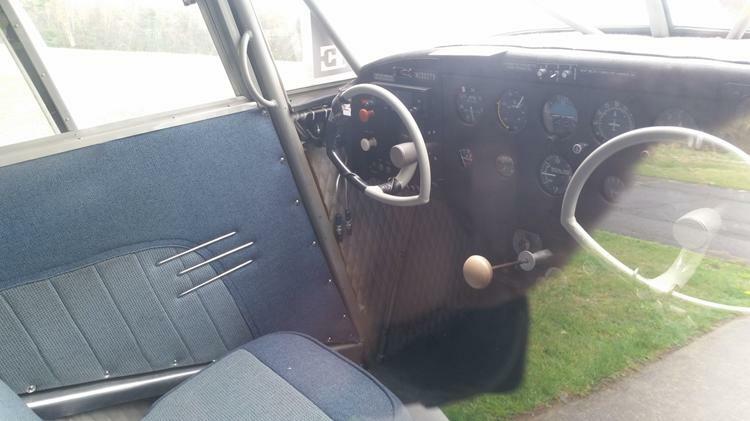 One Stinson 105 saw service over the beaches of Dunkirk. Since the United States was a neutral country, it was not possible for it to trade with a belligerent. To circumvent this, the Stinsons for the French Government were flown to Canada, loaded onto ships in Nova Scotia and delivered to France. One such shipment of 33 aircraft was passing through Canada when France capitulated. 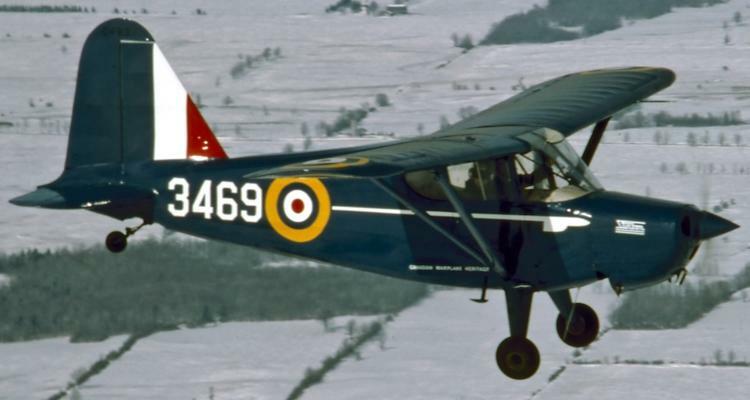 Twenty five of the shipment were taken over by the RCAF and used as light communication aircraft. 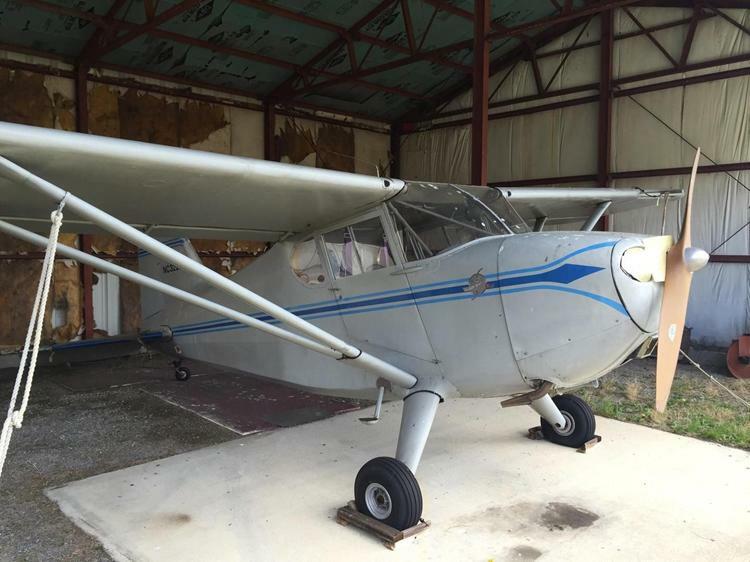 The Museum's example resembles the 105 in appearance but is a Stinson 10A version that boasts a Franklin engine that provides an increase of 15 hp over the original Continental engine. It was acquired in 2016 from a U.S. owner. It will be restored to the markings of Stinson 105 #3469 while it served with the Royal Canadian Air Force.